I love biking, and there really is no more convenient, healthier and quicker alternative than hopping on your bike to get around town. In fact, my burgundy hybrid, which has been with me for almost three years now, is the first thing I owned after arriving on Canada—and I didn’t even have a proper place to stay at the time! More and more, biking is becoming “in”. And Montreal, with its hundreds of kilometres of dedicated bike lanes (or, as I like to call them, “cycle-paths”), it is easier and more tempting for people to get on a “metal horse”. In the warmer months, from mid-May to November, a public bike rental system is put in place at key crossroads and touristic attractions all over the city for locals and travellers to enjoy the freedom that comes with biking—a system that is so successful that it has been implemented in Toronto, Ottawa and even London (UK). 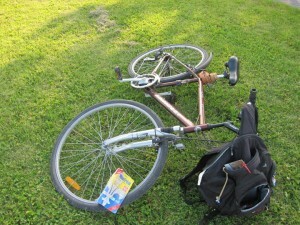 A bike doesn’t have to cost too much, and especially brand new ones are a favourite treat for thieves. As long as the gears work, the brakes are operational, In fact, I like to think each bike has character, makes its own unique sounds and has its own temper, which develops with distance and the amount of time you cultivate with it on the road. There are plenty of bike shops that sell pre-owned bikes, with prices starting from sixty or seventy, depending on the condition and age. There is even a special classified section for the McGill community sell and buy secon-hand bikes, and good deals can be found here. Once you have a bike, of course it will need maintenance from wear and weather to keep it in shape. I usually tune it up once a year around when the snow begins to thaw, but this year I only took the bike to the repair shop today. To my surprise, the guy told me I would have to wait one and a half to two weeks for the bike to be completely ready, given that it’s “peak” season and he has a lot of bikes waiting to be serviced. Disappointed I took my bike and headed to the downtown campus. Then I remembered there was something like a bike shop in the basement of the SSMU building, so I ventured there hoping they could do the same tune up for less and in less time. Turns out, it is McGill’s very own bike collective called “The Flat”. In their crowded workshop are all sorts of tools imaginable for repairing and fine tuning your two-wheeler, and there are volunteers on site who are ready to answer questions and help you with repairs. It is not your traditional bike shop though. The service and tools are free and freely available to anyone, and you have to get your hands dirty by doing the repairs yourself. If like me, you have little or no experience or the only thing you know is how to peddle and brake, friendly volunteers are very willing to lend a hand and show you (literally) the nuts and bolts of what makes a bike work. 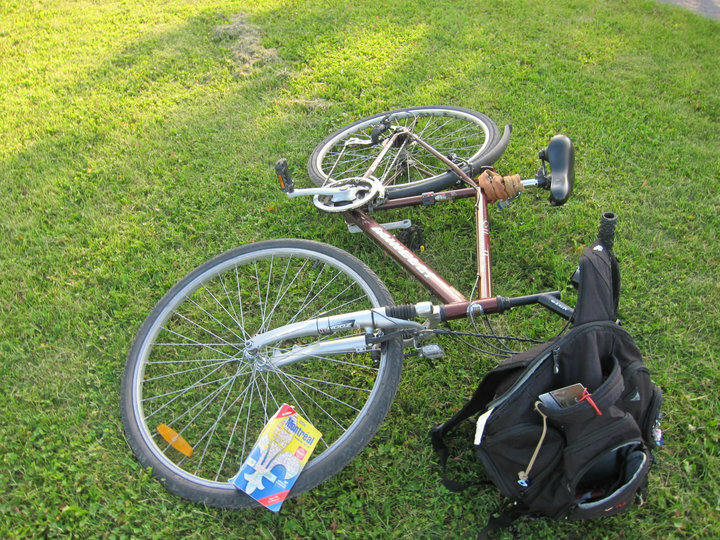 It is a very interesting learning experience, which prepares you in how to deal with a problem in the event of a break-down, and you leave at the end of it all with a well maintained bicycle and purse!